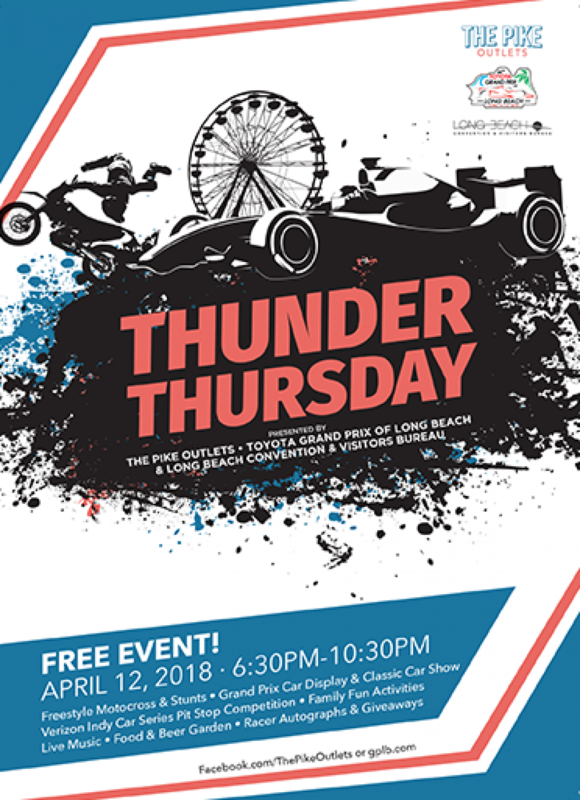 Thunder Thursday at The Pike Outlets is the free-to-the-public festival that annually kicks off the Toyota Grand Prix of Long Beach race weekend with plenty of fun for the entire family. Thunder Thursday’s activities begin at 6:30PM, with Verizon IndyCar Series pit stop competitions on Shoreline Drive, west of Pine Avenue, taking place at 6:45PM and 7:45PM Tony Carbajal’s stunt motorcycles will wow the crowd at 7:05PM and 8:05PM and the always-exciting freestyle motocross demonstrations will take over Shoreline Drive at 7:30PM and 8:30PM. Spectator viewing for these events will be located in and around the three grandstands adjacent to The Pike Outlets at Pine Avenue and Shoreline Drive. Fans will enjoy live music from The StrayTones and Hearts Like Lions, as well as live DJs on the stage in the Main Plaza. Food will be available in the Main Plaza, as well, for fans 21 and older, a Beer Garden hosted by the Auld Dubliner. A classic car show will be located on The Paseo, with local antique and vintage cars. 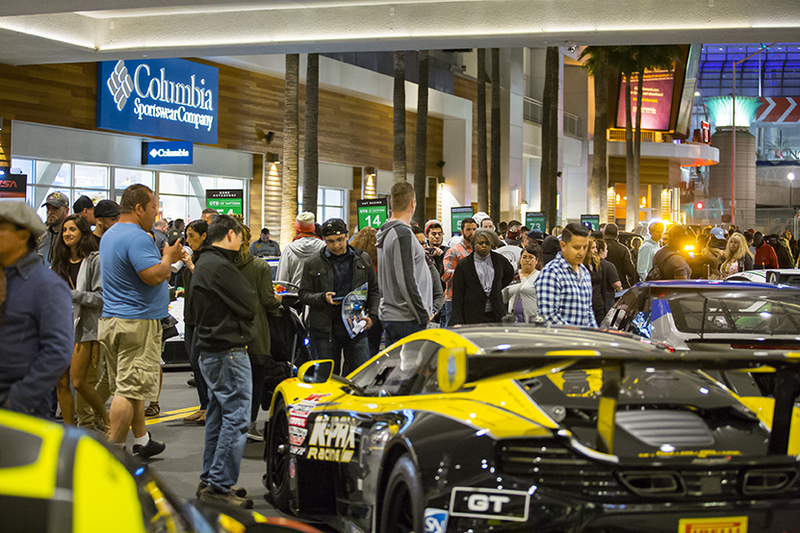 Meanwhile, race cars will be displayed on Bay Street with professional drivers and crews from the IMSA WeatherTech SportsCar Championship, Pirelli World Challenge and more signing autographs. Fans will also get to see the debut of the 2018 Miss Toyota Grand Prix of Long Beach winners, pick up a Grand Prix weekend coupon booklet and have a chance to win prizes and special offers with The Pike Outlet’s street team.